Recently, the Queen biopic Bohemian Rhapsody rocked the world big time. Not only did it win numerous awards and make lots of money, but there are now several music biopic projects popping up everywhere, including ones about Motley Crue and Vanilla Ice! I’m not kidding. No matter what people say about Ice Ice Baby, his short-lived career, or his cult-classic movie Cool As Ice (which is one of my favorite bad films of all time), I’m still interested in seeing a big screen story about Vanilla Ice. Nonetheless, this week I’ll take a look at several musical biography films from the past. This is quite an interesting task for me because I’ve seen only a few flicks that fit into this category. I usually prefer documentaries about those bands instead. To be honest, the only music biopic that I remember seeing is Control (about the life of Ian Curtis, the lead singer of Joy Division) and I liked it a lot. So maybe it’s time to cash-in on the success of this genre with four movies that reveal the stories of successful musicians and bands. The first movie I chose to watch is Elvis. It’s a made-for-TV movie from 1979 directed by John Carpenter. Yep. THAT John Carpenter. 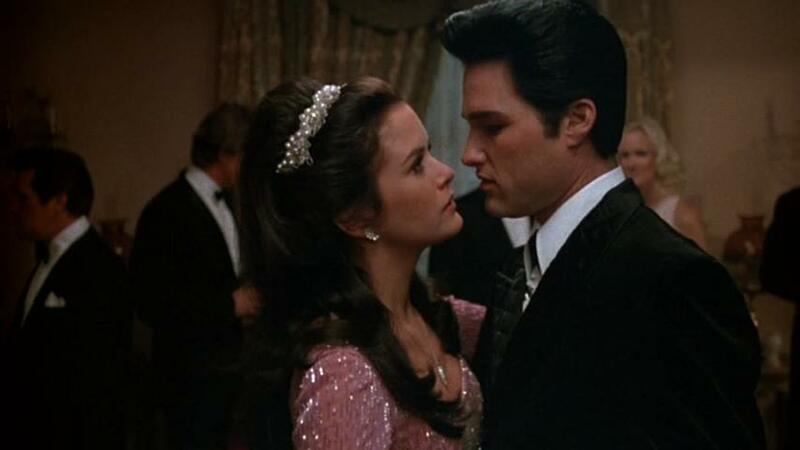 The film begins in 1969, when Elvis planned to make a comeback by performing in Las Vegas. It was the time when his career was in a crisis and bands like The Beatles were more popular than “The King”. After Elvis (played by the great Kurt Russell) shoots a gun at his TV due in anger, the film cuts to his childhood in 1945. We see little Elvis grew up in a poor family and he lost his brother. Then, Mr. Presley had to get through several things…from bullying, to new friendships, to being famous from his Sun Recording sessions, to his army years, to family problems, etc. 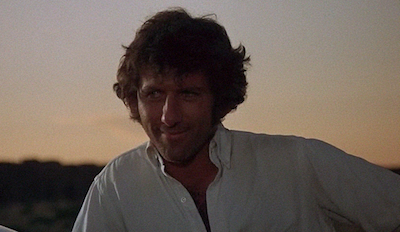 However, this film shows us only his life up until 1969. No death scenes or any depiction of his chaotic years like in the case of “This Is Elvis”, a documentary that I reviewed 2 years ago. Considering that the film is two and a half-hours and focuses on his 50’s-60’s period, I expected it to tell us about all his conflicts as well as how he dealt with his dwindling career when The Fab Four hit the USA. Unfortunately, the biggest problem I have with this movie is the pacing. About the first 40% of the film is fine for me since it tells an interesting “rag to riches” story of Elvis. Then, after Elvis joins army, everything suddenly becomes too saccharine-oriented. They spend too much time on how he’s in love with Priscilla, how much he loves his mom, and things like that. Even after he returns home, the pacing in some parts is still too slow. For example, the wedding scene or another scene that shows how much Priscilla wants to stay out of the public eye should be reduced into a simple montage. Personally, I think this film should be split into two-episodes via a miniseries. Also, another problem here is the editing. Some of the sequences lack a good transition into the next scenes. This is because Mr. Carpenter wasn’t involved during the process and, according to him, his limited involvement in editing and creating the musical score was an unhappy experience. But enough about the negative comments on Elvis, since there are several parts about it that I like. For the production, I like how they use sound effects of teenagers screaming instead of hiring hundreds of extras in several scenes since this is a low-budget TV movie. It’s a nice and clever way to make the film effective within the budget. But for the story itself, I love how Elvis is portrayed here as a man of family, friendship, loyalty, and privacy. We learn from the beginning that he wants to get his mom and dad a better place to live. After he signs a record deal with RCA Records, he buys a new Cadillac car for his mom. Meanwhile, while Elvis becomes more and more famous, his mom wants him to retire from the music business and open a small restaurant instead. 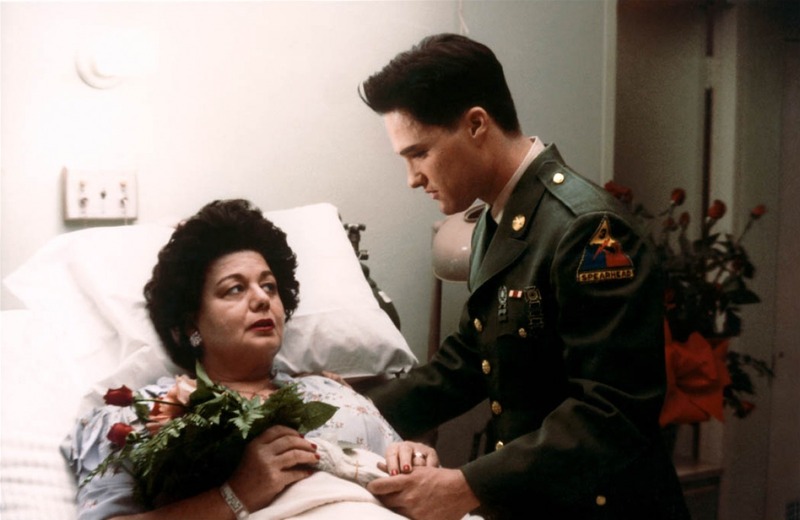 Sadly, his mom passes away when Elvis is still in the army, but he always stayed near her until last minutes of her life. It shows us how much he loved his mom. Another interesting detail here comes from his “loyalty” side. 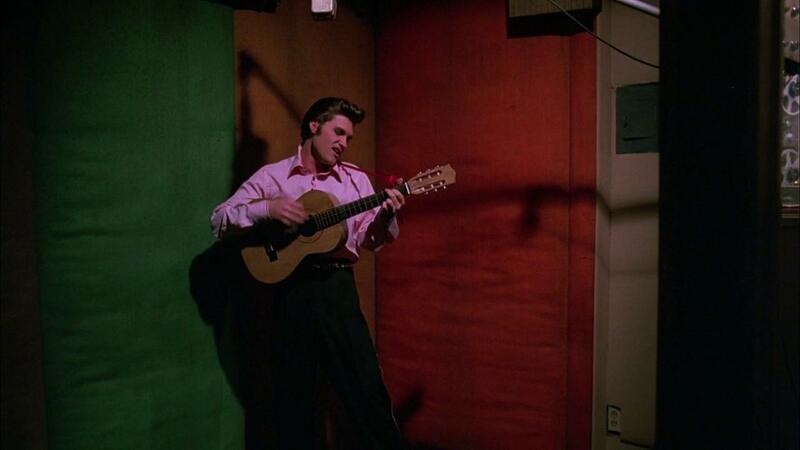 When RCA Records wants him to get out of his Sun Records contract, Elvis initially refuses since he doesn’t want to betray the record label and people that made him famous. But later on, it’s revealed that the label owner wants to sell the contract since he wants money to run the label. Therefore, Elvis decides to leave Sun. This shows that Elvis, at least in the beginning of his career, always cared about everyone around him. Then he looks at the shadow of himself. 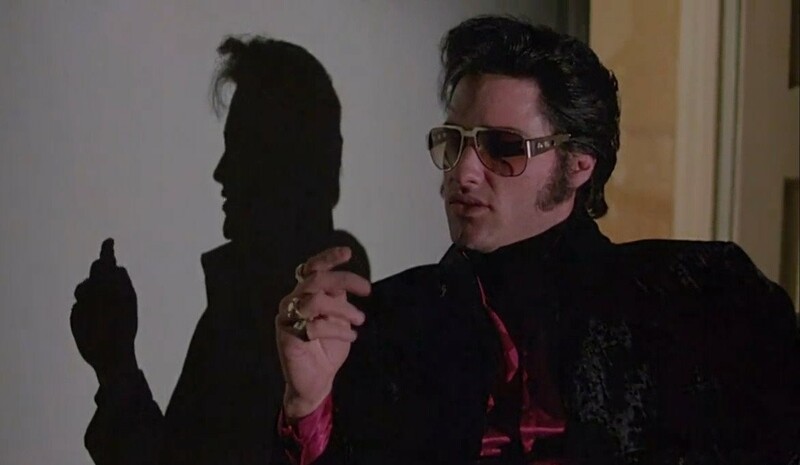 I have to admit that John Carpenter did a great job on the scene due to the cinematography and we can see both Elvis himself and the “reflection” of the king of Rock ‘n Roll really well. So, in the end, Elvis realizes that he misses the love from his parents and that love has a lot of impact on his life. 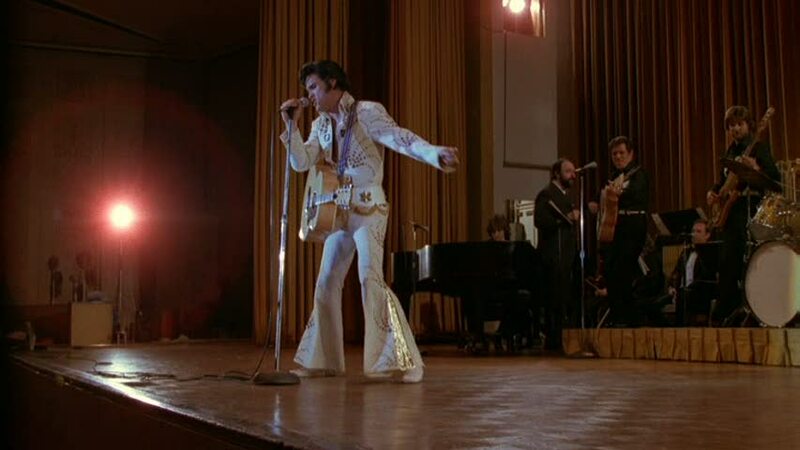 Although the film could be either split into two-parts or shortened down, Elvis is an interesting biopic that shows us the rise of the Rock ‘N Roll pioneer in America, teaches us that fame always has a price, and Elvis proves to us that everyone can make a “comeback” or have redemption in the end. Tomorrow, we’ll take a look at yet another Rock ‘N Roll pioneer and one of my favorite musicians: Buddy Holly. Stay tuned.